Since 2007, Fiat's modern 500 has been bringing a taste of la Dolce Vita to grey British cities, as more than a quarter of a million drivers have bought or leased the Italian city car. Despite being in production for a decade, the car's compact and curved design, bug-eyed lights, and chrome touches still carry a retro-themed appeal. The car's age and popularity means that there are a huge variety of models in different specifications across a wide price range. If you like the look of the Fiat 500, then the chances are that there's a car within your budget. Whether you're buying the latest special edition brand new, or an affordable used runaround with finance payments that cost little more than a cup of coffee (and little biscotti) each day, there's a competitive deal available. Resist the temptation to by a brand new car and you'll need just £7,399 - or £110 per month on finance - for a well-equipped Fiat 500 Lounge that's barely a year old. Most of these nearly new cars have less than 10,000 miles on the clock ad come with the standard 1.2-litre engine, which is ideal for town driving, but requires patience to accelerate to motorway speeds. A touchscreen with Bluetooth and digital radio; cruise control; sunroof; parking sensors; and leather steering wheel with audio controls are all part of the standard package for Lounge trim. Click below tfor the latest Fiat 500 Lounge prices and to configure a car. 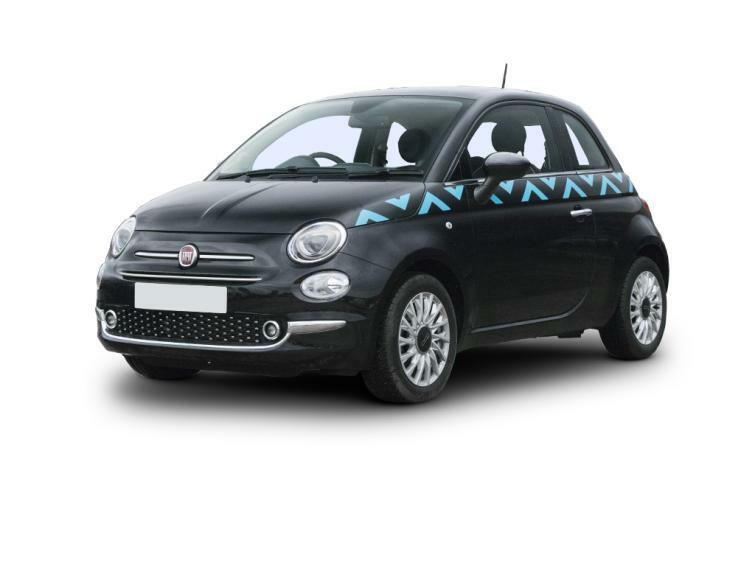 Collezione is the most recent Fiat 500 Special Edition, and adds further retro touches to the Fiat 500, including extra chrome around the bonnet and mirrors, as well as two-tone grey car seats inside. Its dashboard touchscreen includes Apple CarPlay and Android Auto software, so you'll be able to control apps easily, either with touch or voice control. Configure a new Fiat 500 Collezione by clicking below, and check the latest offers. There's no question about the most characterful engine available in the Fiat 500: it's the tiny TwinAir engine. The motor is so-named because it's made up of only two cylinders, like a motorbike engine (most cars have at least three). This layout produces a burble when you accelerate and encourages the driver the rev the engine hard, as that's the only way to produce brisk acceleration. The combination makes the car feel sporty but the downside is that real-world fuel economy is nowhere near the official 74mpg - a figure generated in a standard laboratory test, which didn't reflect how the car is driven on public roads. You should expect around 42mpg in normal driving. Click below for the latest Fiat 500 TwinAir discounts and to configure a car. High-specification versions of the Fiat 500 come with a touchscreen but the car's interior arguably looks better in entry-level trim, where it has a traditional radio with dials and buttons. The cream-coloured device matches the retro feel of the dashboard much better than a screen, and it's also easier to use without taking your eyes off the road. Prices start are cheap; well under £100 per month with finance; and the car comes with virtually all the style of more expensive models. There are some areas where it feels basic, though, particularly with the lack of alloy wheels and air conditioning. Both are included with Pop Star models, which start from £5,490 or £89 per month. Neither car includes Bluetooth, so you'll have to plug your phone in using the USB or Aux ports. Looking for a new Fiat 500 Pop? Click below tosee the latest savings and configure a car. Abarth is Fiat's performance division and it has transformed the Fiat 500 from nippy city car into a tyre-scrabbling bundle of energy. With a large 1.4-litre engine under the bonnet, it will accelerate from 0-62mph in 7.8 seconds, which is five seconds faster than the standard 1.2-litre Fiat 500. It feels fast in the corners too, thanks to firmer suspension, which makes the car more uncomfortable on bumpy roads, but enables it to flick from one direction to another in a flash. Click below to configure a brand new Abarth 595 and check the latest offers.